Accountancy firms are the backbone of the business economy serving every sector of the community. Business owners use their accountant to get advice and recommendations on a wide range of commercial issues. They are trusted advisors for New Zealand business. Yet accountants often present themselves poorly online. They are difficult to find on the internet, their websites are dull, unremarkable, and aren’t easy to use for prospective clients who want to research and find an advisor. Every business uses some form of marketing promotion to bring in new clients and to keep current clients coming back for more. A website is the linchpin of modern business marketing activity. Most other marketing work directs curious web searchers to the website. These days, who hasn’t got a business card without the firm’s URL? Creative Agency Secrets has appraised a substantial amount of accountancy firms’ websites for evidence of current marketing and promotion activities within the industry. Over one quarter of all firms surveyed do no marketing promotion aside from their website. 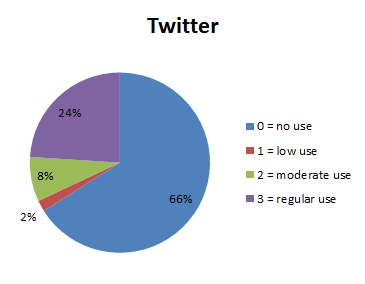 38% have some basic promotion, normally in the form of a newsletter. And at the other end of the scale 6% are very active and seek to engage website visitors and encourage them to get in touch with the firm. Where does your firm sit on the proactive marketing scale? What sets these firms apart? Why do prospective clients find these factors appealing? Imagine going into a shop for the first time – you browse around looking for the product you want to buy and at “just the right moment” a sales assistant steps forward and offers to help you. They guide you in an un-pushy manner to the product you want but stay on hand to answer any further questions you have. A modern website needs to do the same job for the firm. But on a website a visitor is anonymous. You have no idea who has visited your site – just tracking cookies and the number of visitors in your analytics. The Firm doesn’t know their names, what their interest is and whether they are looking to buy some accounting advice. 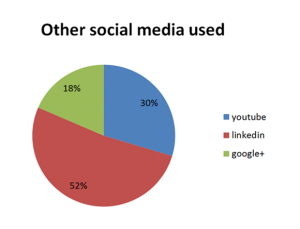 Businesses are moving into the social media scene. 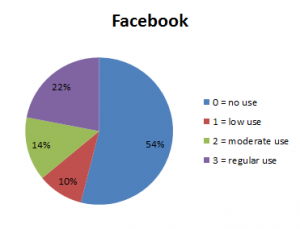 Yet most accountancy firms have not taken advantage of the core social media sites. 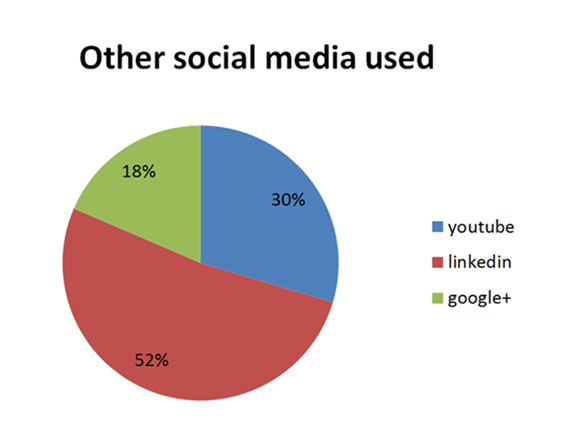 Our research reviewed accountants’ websites for public links to social media sites. We expected to see LinkedIn used the most because it is the professional business social media site but we were wrong: 34% had LinkedIn pages; 34% had Twitter and 46% had Facebook profiles. Firms with an active social media presence tended to also have higher scores in overall web presence and influence. There are many additional influencing factors and it is important to note that where a company is on social media, they also have invested time in YouTube videos, blogging, or email marketing as well. We ranked firms comparing their activity on the web by assessing how often they updated their marketing activities and what tools they used to market themselves online. This shows that activity really does boost your noticeability as an accounting firm online. What’s more interesting about these results is the outlying firms with our assigned activity scores of 2, 3 and 4 who also have a good Alexa Rank which suggests that content is an important factor in gaining a prominent online presence. There are a lot of opportunities to display expertise using content marketing techniques online. When searching there accountancy firms’ websites for newsletters, we looked at whether firms actively requested prospective clients’ email addresses, and the ways in which the firm used them. Many displayed historic newsletters but they were often displayed in PDF format which is less searchable or sharable. Of those with newsletters, a significant amount website visitors had no way to subscribe to receive the news online. Giving visitors the ability to subscribe gets you their email address for a mailing list and analytics information about those visitors. Mailing lists are a great way to start a dialogue with customers by building a self-service database. An opportunity lost by these firms. Opted in databases of email addresses are among the most powerful marketing assets a firm can own. They can even be used to deliver a series of emails called autoresponders. These can welcome new subscribers, give them an introduction to the firm, and explain its services. Many of the news pages or blogs for the accounting firms we researched are static and have not been updated for many months or even years. They have no clickability or linking to other pages in the website and they are created on a single web page. This means an individual article cannot be hyper-linked, only the whole page. By creating a blog-style page, the opportunity exists to create more internal and external links to your site which again increases the chances for search engines to visit more frequently as well as encouraging visitors to browse across multiple website pages. This also provides opportunities for other websites to link to specific articles from you which ultimately lead the visitor to your website. Larger accountancy firms host videos on their websites, mainly used for training. None have made use of online broadcasting technologies like webinars, podcasts or recordings. Video and audio recording is now cheap and easy to do. They are a good way to communicate and to enable listeners to share your content and are far more engaging than text. Many accountants provide training and conduct seminars for in-person attendance. It would be very easy to broadcast a training event or record it at the same time for later broadcast. Training is a fantastic marketing tool but if someone can’t make the event time, watching a recording means they can still gain value from it. Most accounting firms have the beginnings of a good website presence. However they need to add new functionality that works to continuously draw new visitors into the website from search, from the email database and to encourage them to reveal their identities and join in a dialogue with the firm. This can be enhanced by including social media in their marketing plans as they create more and more points of contact for potential clients, as long as you know your clients use social media to connect. LinkedIn is particularly good because of its professional nature. If you’re an accounting firm looking for a free website appraisal, you’ll find one here at Creative Agency Secrets.